British Prime Minister Theresa May says she is prepared to quit in order to get her Brexit deal approved by Parliament. 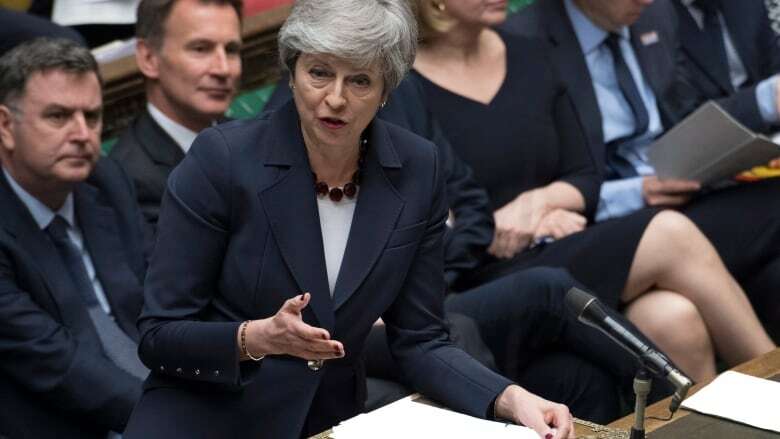 British Prime Minister Theresa May said on Wednesday she would quit if her twice-defeated EU divorce deal passes at the third attempt, making a last-ditch bid to persuade rebels in her Conservative Party to back her. "We need to get the deal through and deliver Brexit," May told lawmakers, according to a statement from her office. May told a meeting of Conservative lawmakers she would stand down if her divorce plan finally got through a bitterly divided Parliament, to ensure a smooth path for a new leader to begin the next step of negotiating the future relationship with the European Union. "I have heard very clearly the mood of the parliamentary party," May said. "I know there is a desire for a new approach, and new leadership — in the second phase of the Brexit negotiations — and I won't stand in the way of that." "I ask everyone in this room to back the deal so we can complete our historic duty — to deliver on the decision of the British people and leave the European Union with a smooth and orderly exit." Hours later, the Northern Ireland Democratic Unionist Party (DUP) crucial to getting the agreement through Parliament was unmoved and its members said they would reject it again. "We will not be supporting the government if they table a fresh meaningful vote," the DUP said in a statement. Deputy party leader Nigel Dodds made clear in a tweet that this meant they would be voting against. 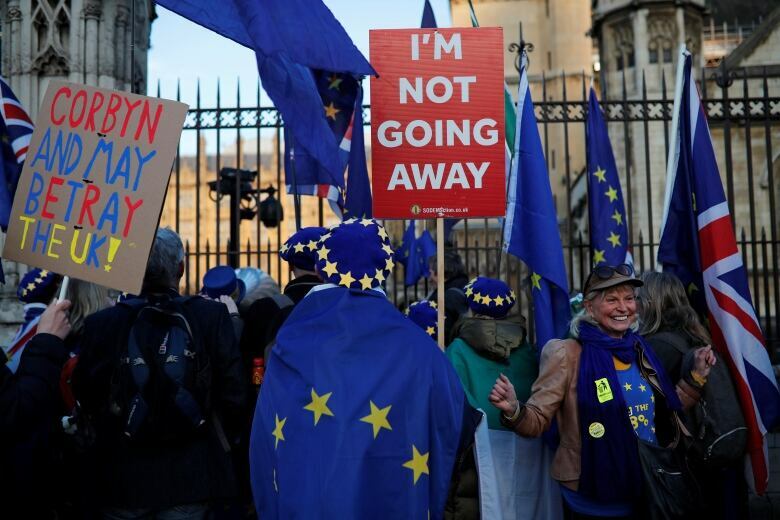 The government is expected to bring May's agreement back to Parliament on Friday, but Speaker John Bercow repeated his warning that he would not allow a third vote unless the motion had changed substantially since its last defeat. Many Conservative rebels who want a cleaner break from the EU had made clear they would only consider supporting her agreement if May, who voted to remain in the EU in the 2016 referendum, gave a firm commitment to resign. "It was inevitable and I just feel she's made the right decision. She has actually read the mood of the party, which was a surprise," said Conservative lawmaker Pauline Latham. May's deal means Britain will leave the EU single market and customs union as well as EU political bodies. Many Conservative rebels have also objected to this so-called Irish backstop, saying it risks binding Britain to the EU for years. Some of the party's most influential dissenters had already indicated they would back her deal, agreed after two years of talks with the EU, saying it was the least worst option. 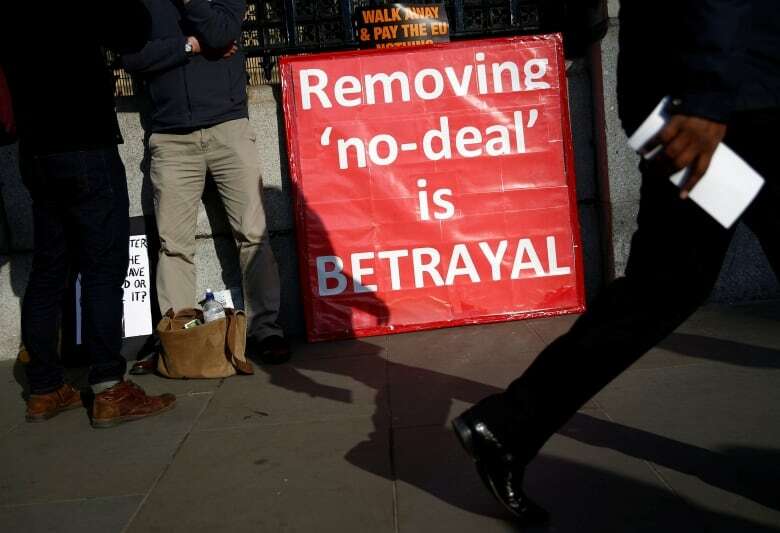 While May was telling her lawmakers of her intention to quit in a Parliament committee room, MPs in the main chamber debated — and later voted on — eight Brexit options ranging from leaving abruptly with no deal to revoking the divorce papers or holding a new referendum. Britain now has until April 12 to find a new plan — or crash out of the EU without a deal.